The all-new CP73 and CP88 are the latest in a long lineage. With its remarkable capacity for expression and a sonic range unmatched by any other musical instrument, the piano has long played a major role in the sound of ensembles and bands performing everything from classical music through to jazz and rock. But with the rise in popularity of rock music (and all its related subgenres), the music industry was in desperate need of a piano that could hold its own with the explosive sounds of the electric guitar and could also be quickly and easily set up on stages both indoor and out. The instrument developed to address this need was aptly christened the “stage piano,” the most well-known of which were the Yamaha CP70 and CP80 electric grand pianos. First introduced in the mid-1970s, they were used widely on records and in concert by major artists for more than a decade — and some even still use them to this day! Of course, technology has advanced by leaps and bounds since the ’70s, and now the time has come for the rebirth of the stage piano. With the recent release of the CP73 and CP88, Yamaha developers have reimagined the instrument from the fundamentals up. Sound is, of course, the most important part of any musical instrument. The CP73 and CP88 stage pianos feature a wide variety of grand piano, upright piano, electric piano and keyboard sounds — including an extraordinarily dynamic CP80 sound — for playing any music genre. There are also synth sounds, including split, layer or solo warm pads, lush strings, deep synth basses, synth leads, brass and more, plus Virtual Circuitry Modeling of vintage effects and high-end studio signal processors. 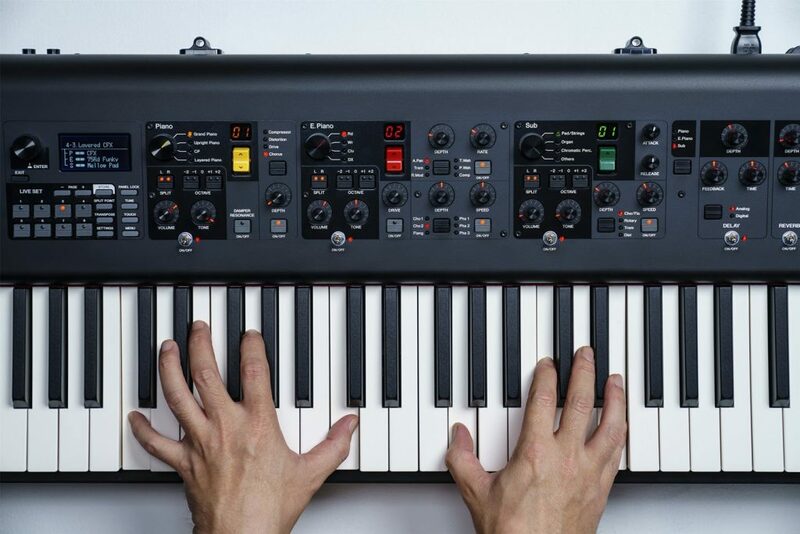 The CP73 and CP88 also offer an authentic touch — something of paramount importance to keyboardists everywhere. The CP73 features a newly-designed 73-key balanced action that provides an electric piano feel, with an “E-to-E” keyboard perfect for playing in bands with guitar and bass. The full 88-key CP88 model provides pianists with a tactile response almost indistinguishable from acoustic pianos, with graded weighting that reproduces the feel of a piano’s hammers — heavy in the low end and light in the high end — and Natural Wood keys with synthetic ebony and ivory key tops that are lightly porous, which adds grip to the keys and helps maintain accuracy during long performances or practice sessions; it also enables grand piano-like key repetition, where notes can be re-articulated without a complete release. This makes it easier to play fast, repeated notes and is one of the main reasons pianists choose grand pianos over uprights. One of the most important features of the CP73 and CP88 is a user-friendly control interface that puts everything at the player’s fingertips and allows real-time interaction for instant sound creation: no programming, menu-diving or web searching required. 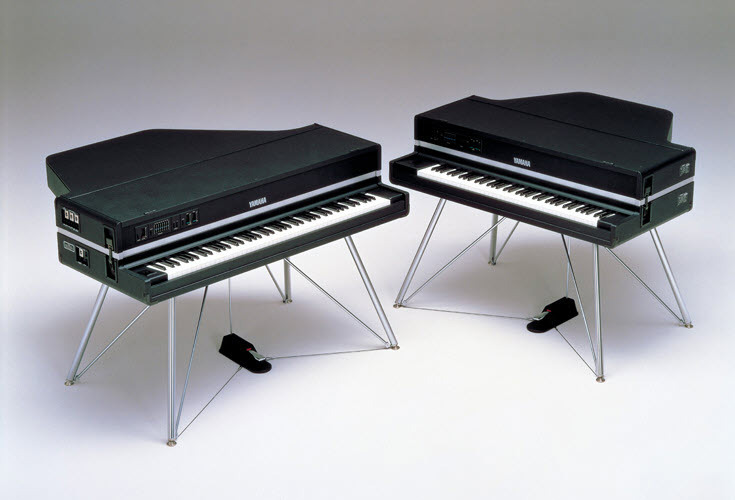 Both models are designed to withstand the rigors of the road, yet are among the lightest and most compact stage pianos anywhere: The CP88 weighs in at just 41 pounds, while the compact CP73 weighs only 28.9 pounds. Optional soft cases are available, with wheels and zippered compartments for storing pedals and accessories. 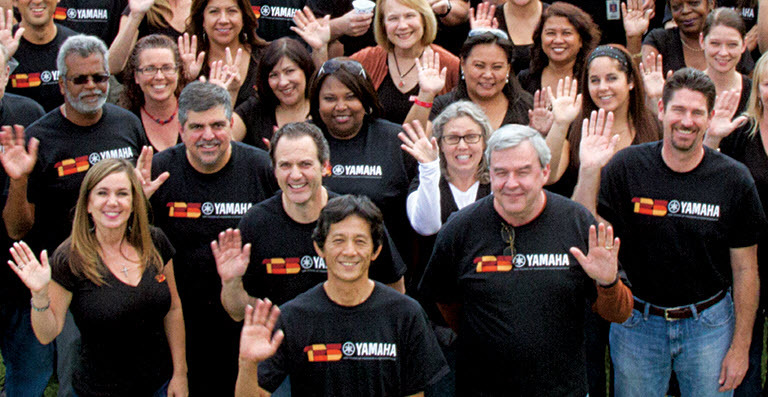 Click here for more information about the all-new Yamaha CP73 and CP88, or visit yamahasynth.com.